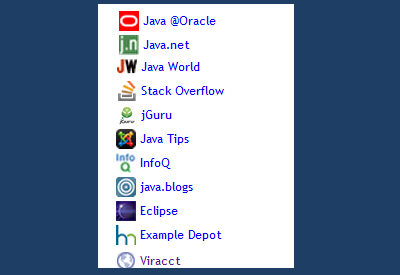 We are glad to let you know that our Chrome extension 'Java Populars' has really become popular! It has got 10K+ active users with an average rating of 5 stars!! Those who have not tried it yet, must be now definitely keen to know what is this extension all about. Here is a brief summary of it. 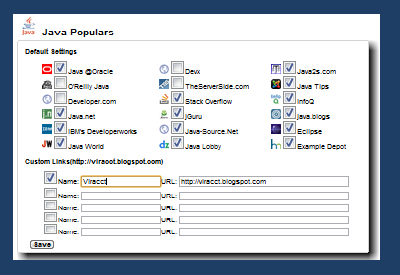 Very useful for Java developers- Java Populars! It is very likely that you'll have doubts in Java or have issues during development or deployment. You google it and you get thousands of related results. You may get lost in those thousands of sites to pick up the good solution. 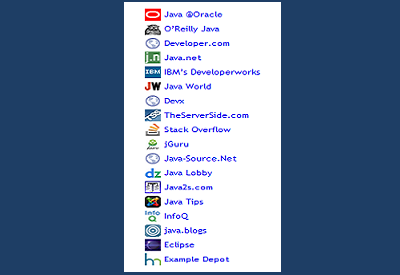 Rather go to the sites listed under Java Populars. 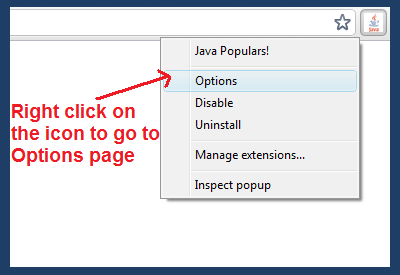 Right click on the extension's icon to navigate to the options page. Options page gives you a way to customize your list. You can remove from the default list by unchecking the respective. To add your own links enter the url in the textbox and select the respective checkbox.